AN Oldham business has been recognised for being one of the country’s most ambitious social entrepreneurs. Upturn, based in the Chamber Business Centre, is one of only 30 firms chosen to take part in the Big Venture Challenge, an investment programme supported by the Big Lottery Fund. The social enterprise business, which tackles social problems, improve communities and life chances — was picked from over 140 social ventures. The innovative pitch – to provide support suites for housing associations across the UK – caught the imagination of judges. Their prize is being part of a scheme which offers powerful connections in their field, matching funding for projects and support to raise external investment. 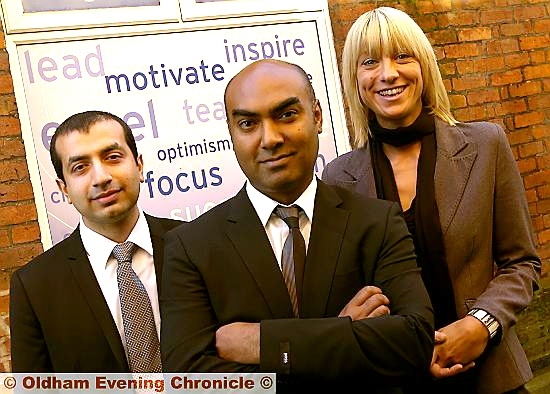 Managing director Anwar Ali (38), who started the business as a pilot scheme in 2004 and now employs 40 staff, said: “This is fantastic news for us, we’re the only business in Greater Manchester to be recognised so we’re very proud. via Oldham News | News Headlines | Big venture pays off for Upturn – Chronicle Online.